Our goal is to connect people with the best local experts. We scored wedding photographers on more than 25 variables across five categories, and analysed the results to give you a hand-picked list of the best wedding photographers in Asheville, NC. Amber Greene Fine Art Photography is an Asheville-based professional on-location photography service provider. Amber specializes in family portraits along with engagement, wedding, pregnancy, baby, and other styles of photography. Amber prides her photography style on the raw emotion that she strives to capture, all while implementing her clients’ preferences into her work to ensure utmost satisfaction. On the Amber Greene Fine Art Photography website, Amber has portfolio images conveniently posted for clients to browse through along with a link to her blog which features stories from work accomplished with previous clients. Amber is open to answering any questions pertaining to her work through a complimentary consultation. Blue Bend Photography, based in Asheville, North Carolina, offers vivid wedding photography, servicing the entire southeast of the United States. While the team is comfortable photographing any venue, they specialize in outdoor weddings. Collectively, the members of the team have shot over 1000 weddings, making them extremely confident in handling a range of surprises from weather to lighting to other unexpected issues. The company offers partial wedding packages which start at $1900 as well as bridal and engagement photography services. All packages include high-resolution files, online proof sheets, and an optional leather craftsmen album. Most packages include a complimentary engagement photo session. Bren Dendy of Bren Photography is a wedding and premier lifestyle portrait photographer based in Asheville, North Carolina, but traveling anywhere her work takes her. She has been running her own business for almost five years. Her services include e-sessions, lifestyle portraits, school photos, and commercial and editorial work. Every Lifestyle and Wedding Collection includes a USB of professionally edited images, printed proofs, and an online gallery to share with friends and family. Also available are professional albums, prints, and canvas wraps. Her clients love her easy personality and the consideration and skill she shows in her photographs. Event Horizons Photography is a photography business owned by principal photographer Rose-Marie Vieira. Event Horizons Photography offers a variety of session types, including wedding photography, real estate photography, commercial photography, animal photography, nature photography, pet photography, and food photography. Rose-Marie was the first place winner in a local photography contest sponsored by the Leicester Leader newspaper. In addition to her photography services, Rose-Marie creates marketing pieces like brochures and newsletters for commercial clients, and she is even a wedding officiant, having been named Asheville's #1 Wedding Officiant by Thumbtack for 2 consecutive years, as well as one of their Top Pros in 2016. Previous business and individual clients praise Event Horizons Photography for Rose-Marie's natural ability to "see" shots and bring them to life. Derek and Kristi Olson run Fete Photography, a business based in Asheville North Carolina that captures wedding day photos. They also frequently travel to weddings in Cashiers, Highlands, Charlotte, Greenville, and Savannah, and enjoy photographing destination weddings. With a passion for naturally photographing couples’ unique personalities and love, Derek and Kristi document candid moments while adding an artistic flair to each photo. Fete Photography’s work has been published in several wedding magazines and blogs, including Martha Stewart Weddings in 2015. Past clients speak highly of Derek and Kristi’s skills and professionalism, as well as how friendly and easy going they are. Gruen Photography offers the professional services of photographer Kasey Gruen. The studio serves its home base in Asheville, NC, and the Western North Carolina area. For over a decade, Kasey has offered her expertise in wedding and portrait photography. She uses a photojournalistic and fine art style approach to create beautiful images. Her studio offers a variety wedding and portrait packages to help capture life's big events. Each wedding package includes a second photographer, photo editing and the ability to order prints online. She is equipped to produce high-resolution images, wrapped canvas, and photo albums. Customers highlight her beautiful pictures, artistic eye, and professionalism. JCM Photography provides many services to the residents of Asheville, NC but their passion and focus is working with couples. JCM Photography is a professional service provider that seeks to cater to clients of all varieties. The photography business offers services that demonstrate the company’s devotion to aiding customers with their photography needs no matter what budget, without compromising standards of excellence. Every year they give away a wedding to one a local couple in need as a way to give back to the community that gives to them. JCM Photography is maintained under the direction of Jennifer & Joe Mackey, two of the most dedicated, earnest photography professionals in the industry who have over 40 years of experience between them and their team. The company offers services including wedding photography, engagements, photography education, coaching, albums, prints, and digital images. JCM Photography has developed throughout the years into a well-accredited business acknowledged by its past clients and competitors as being one of the leading photography service providers in its local area. Jen Yuson Photography is a wedding photographer located in Asheville, NC. Jen, the main photographer of her company, and her associate photographers serve that city along with the Charlotte and Greenville areas. The style infused by Jen into her photography is comprised of three elements, which are introspect, craft and sentiment. Jen Yuson is passionate about her art as she captures special memories and imprints them in her creative photography. The services offered by Jen Yuson Photography include wedding photography, boudoir photography, portrait photography and more. As proof of her expertise and quality craftsmanship, Jen has been featured in NPR's Real People, Real Stories and the Greensboro News and Record Meet an Artist section, among others. Kathy Beaver Photography photographs weddings for couples in Arden and the surrounding areas. The photographer aims to capture every couple's love story with photojournalistic, classic, and candid shots, and wedding services include a complimentary engagement session as well for extra photos and an opportunity to work with the photographer before the big day. Brides and grooms can also meet with Kathy Beaver in person free of charge to discuss options and review all details so that they can enjoy a worry-free wedding day, and sessions for couples and families are also available. 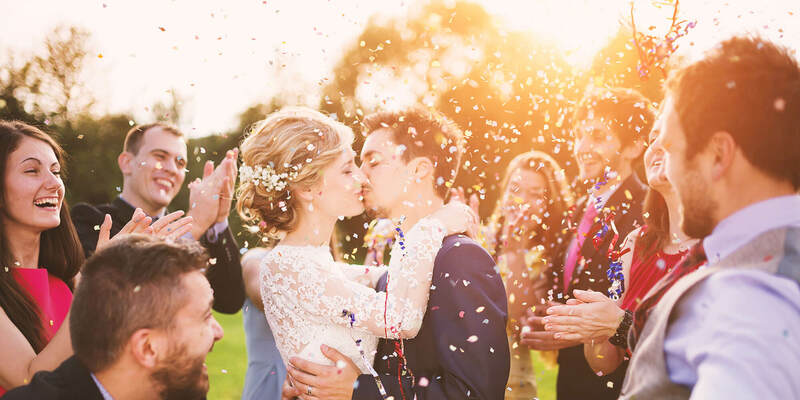 Ms. Beaver can assist clients with finding the perfect venue for their nuptials as well and boasts a network of top wedding vendors including planner, hair and makeup artist, and bakery. Headquartered in Asheville, North Carolina, Keli Keach Photography is a professional photography business that serves clients in the surrounding metropolitan area and beyond. A specialist in portrait photography, the company is available for such services as architecture and real estate photography, remodeling photography, humanitarian projects, commercial photo shoots, restaurant photography, photos for the web, and lifestyle photo sessions. Previous clients of Keli Keach Photography include The Laurel of Asheville Magazine, Unity Healing Arts Massage Therapy, Keller Realty, Rockcliff Dental, Smoky Park Supper Club, Rapid River Magazine, and numerous others. The company has a social media presence on Facebook, Instagram, and Flickr and can be contacted by phone or email. Meghan Rolfe Photography is a portrait and wedding photographer in Asheville that uses natural style to bring out the true expression and authentic selves of their clients. The goal of the photographer, Meghan Rolfe, is to make her clients relaxed and comfortable, thus making each photo session fun and stress-free. They offer wedding and engagement shoots, elopements, portraits, motherhood, and family photo shoots. Meghan Rolfe has been in the photography industry since 2012. Rachel Archer Photography is the artistic home of Rachel Archer, a photographer in Asheville, North Carolina with a passion for the art form of photography. Rachel has experience with and sessions available for photographing families, children, high school senior portraits, headshots, engagements, bridal portraits, weddings, and other special events. She is more than happy to travel for weddings and events as well. Rachel also offers boudoir sessions and glamour shots. Previous clients are effusive about Rachel Archer Photography. They love working in such close collaboration with a photographer, and they speak highly of Rachel's grace, precision, and professional demeanor. Regina Holder is a professional on-location wedding photographer based in Asheville, NC. Through her longtime love of photography, she helps clients make the most of their special day, capturing once in a lifetime shots that express the love, joy, and excitement that a wedding day brings. She is an expert at capturing even the smallest details and bringing it all together in an elegantly presented storybook wedding album. Regina is committed to giving clients the best wedding portraits possible and will extend a session if needed to capture all of her clients most memorable moments. She also specializes in maternity, newborn, and children's photography, and engagement and destination sessions. Ultraviolet is an Asheville wedding photography studio committed to documenting unique love stories set against the majestic and rustic background of Asheville, North Carolina. Lance Crawford is the heart and soul of Ultraviolet and has been photographing for over a decade. He seeks to document couples’ special days in a way that is honest and personal and prides himself on his ability to make his clients comfortable enough to show their authentic selves to his camera. His works have been featured in several publications, including Bridal Guide, Alternative Press and Tallahassee Magazine. Clients attest to Lance’s ability to make them feel at ease and deliver photos that are professional, personal, and natural. Based in Asheville, North Carolina, W4 Photography specializes in destination wedding photography sessions. Destination family portraits are also offered. W4 Photography is made up of husband and wife team Sean and Iryna Carswell. Every booking includes both photographers working together to capture all details and provide a full view of the wedding day. The duo processes and edits each photo themselves. W4 Photography offers a deal if a photo package is booked in combination with a film session through Fesiuk Films. Customers praise W4 Photography's flexibility and communication. The team sends several images to clients during the editing stage to keep them updated on the process. The complete package can be expected four to six weeks after the wedding.